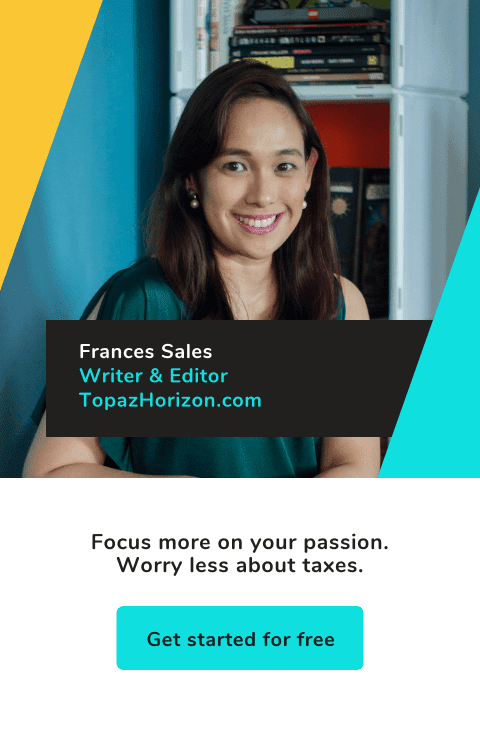 "Ask Frances" is a monthly blog series where I will answer questions from my readers. The chosen question will receive a prize. 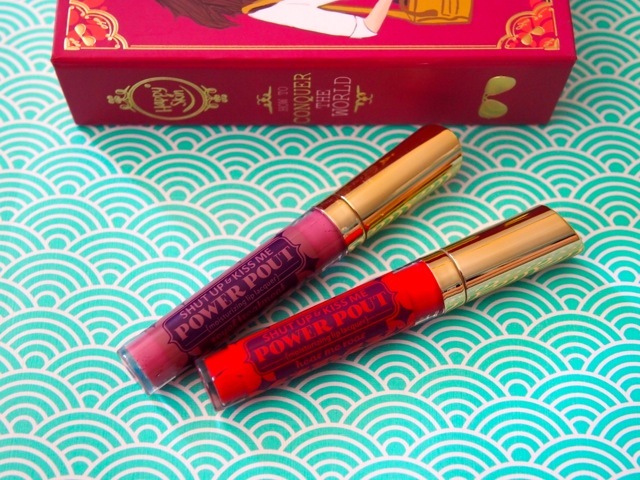 This month's prize is a boxed set of Happy Skin Shut Up & Kiss Me Power Pout Lip Lacquers. The prize comes in this pretty box. Smooth application of these glosses for a shiny pout! With or without lipstick! 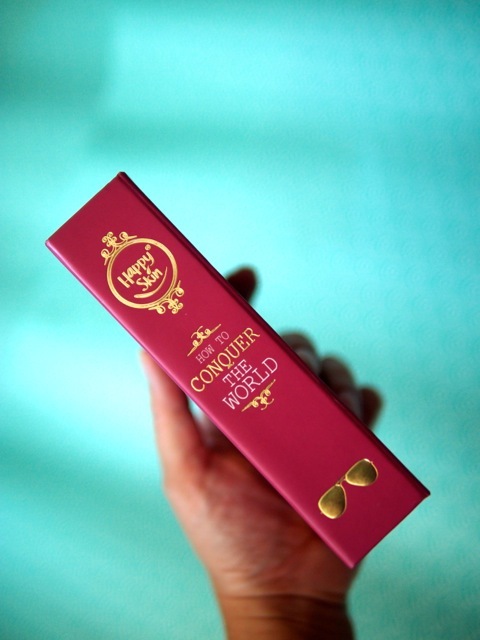 Shades are Royal Treatment (pink) and Hear Me Roar (red). Place on the shelf and it looks like a book. And you can reuse the box for your treasures! How do you make sure you don't get inggit when people around you have bigger cars, bigger houses, etc. To tell you the truth, I'm feeling this way for two days now because I just came from a reunion. Feeling ko ang failure ko. At ang babaw! Shocks! Pataasan kasi ng ihi pag nagpupunta sa reunion eh! Another thing I have been wanting to ask you is, how did you forgive people who you helped financially? I have been praying to God to give me a forgiving heart pero minsan, I can't help but think, pano mo ifo-forgive eh hindi nga sila nanghihingi ng forgiveness? Ni hindi nila nakikita na nahu-hurt nila ang family n'yo by being a financial burden! Don't attend reunions. I don't. Because your observation is correct: It's all compare, compare, compare. And no matter what you've made of yourself, someone's always going to make more money than you, look better than you, have a hotter spouse, and have a career more exciting than yours—and all of this is stuff that you probably don't want anyway! Even though your heart knows that you don't want what they have, all the negative energy in the room will make you want what you don't want. Like your high school ex maybe. Eww. Joking aside, I can tell you with all honesty that I don't feel envy at all. I'm too happy with my life to be envious of others. You see, I know myself too well. For example, I have friends who travel all the time. That's nice but I know myself—I hate traveling. I like my home too much! So I'm just happy for my traveler friends and appreciate their stories and photos. I also have friends who have closets full of designer bags. I love nice bags, too! But I know my life—right now, my kids will just destroy everything I own so I patiently wait for the day I can own an expensive bag without worrying the kids will draw on it, spill juice in it or smear chocolate on it. Now this one I'll admit was a recent struggle: I have blogger friends who have amazing blogs and terrific traffic. I want that, too! But I quickly realized that right now my kids need my attention more so the blog will have to wait. And that's okay. So the important tip: Know yourself and what you really want. That's it. If you know who you are, know what you want, and be brave enough to go after it, then you know nothing can shake you from your purpose. And you'll be filled with happiness and peace, which allows you to be happy for others instead of getting envious of them. Besides, people will always have something to say. Because we're writers (and, worse, I'm a blogger, which a lot of people find hysterical), Vince and I hear "concern" all the time. It does get on our nerves, to be honest. That's why it's important to know who you are and what you want. Eyes on the prize, A.B.! Vince and I are the happiest people we know. We may not be shopping every day, we may not have a huge house, but we're living a good life, a full life, on our terms. Money can't buy the deliciousness of that! As for your second question... Well, you just do. Forgive. Help because you have a good heart. Help because you can. You seriously don't have to help, you know. Not helping someone financially is not a crime, but you help anyway because you're a good person. That is enough compensation—the knowledge that God has blessed you with more than enough and the undeniable truth that you may think you're bad for not wanting to help but because you did, then you are a better person than you think. You are a good person. So be good all the way! It took me a looooong time to get to this point. Like you, I struggled with anger (and even hate) at the people who just take and take and take. They don't even say thanks! But I dunno. Maybe old age has softened my heart. What makes it easier for us also is we give money, we don't lend. So for example if someone asks to borrow P10,000, we'll say, "We can give you P5,000. It's yours." Then because we gave what we can, we can forget the money. It's not a niggling little worm that eats us. You're the lucky one, A.B. That puts you in an incredibly privileged position. Help because you can. Forgive because you must. Then email me so I can send you your Happy Skin lip glosses! Have a great weekend! This is a lovely new feature, Frances, with such insightful advice! I love this series! And I love your answer and insight. It's true, and it is the secret to contentment to know what we want. I've learned this throughout the years, as I've acquired less stuff, detached from toxic people and places and situations, and just stripped off the things that didn't make me truly content. Like you, I love my life!!!! Hi Frances, I would like to add a few insights myself to the letter sender. I hope you wouldn't mind. I agree with your first tip. Also, learn to be content with what you have. Learn to have a grateful heart for what you have and what you have accomplished. Envy gets in the way if you are never contented. Find joy in the small things. Once you do, you will never even mind the people comparing what they have with what you have. Material things does not equate to the amount of joy you have in your heart. Secondly, why the need to forgive people you have helped? Are they not appreciative of what you have done for them or are they abusing the helping hand that you offer? Help is something you give graciously. If it is not within your means, then tell the person. If you are able to help then give with an open heart. If it becomes a burden then I think it is no longer help but rather obligation. Those are two different things. "By the way, Frances, I realized I was not clear with my second question. The reason why I need to forgive them is because they got mad when we stopped their monthly allowance (yes, they're my in laws) when I had to resign because I gave birth. I thought it's unfair that they felt that way without even being grateful that for a year before that, we were regularly giving them allowance. And it's not a small amount ha. Almost 75% of my salary goes to them so we essentially live off my husband's pay. Hope this clarified it." Thank you for this post.... Very enlightening... I need this... Thank you. I was feeling the same way, too. Thank you for this timely question and for the helpful advice. Ms. Frances, can you please tell me your thoughts on my situation? I used to be skinny. I even took appetite stimulating vitamins before in the hope that i'll gained more weight. But after giving birth, i gained so much weight that i'm starting to hate myself and my looks. My clothes won't fit me anymore. I feel sad and envious of the other women when i see myself on the mirror of public restrooms. Nakakainis! I started to limit my food intake. But sometimes, it's the yummy foods that comfort me. I don't know what to think. Should i convince myself to accept my current bodytype or should i try harder to bring back my old figure? Please tell me something, anything. Thanks! P.S. Frances, naging advice thread na itong post mo na to. Hahaha! :) I love this series!!! I can relate to the envy thing and I must say, magandang payo/reminder Ms. F! You'll sometimes never know when envy will hit you kase. I really like how you responded: "Do not attend", "Know yourself and know what you really want", "I'm too happy with my life to be envious of others". Both you and your responses are very honest (you have been consistent not just with this particular post but with your other posts too actually). Notice how you focused on yourself rather than saying "attend and be happy for them". Sounds very angelic but that is not the reality of human nature. Yes, maybe, we can be happy for others but that doesn't mean that if we are happy for them we are happy for ourselves too (admit it, it might make you even more sorry for yourself). Being happy for others can be the first step but it can end there. You have to take the next and more important step - which is to be happy for yourself too and this is independent of whether you are happy for others or not. So Frances is right, I like how she moved away from the fluffy thought of being happy for others makes you happy. She instead adviced us to steer clear of these situations like reunions and keep our focus on ourselves and our own life. Forget about looking at other people's lives regardless whether you see it positively or not; just look at yourself and make sure you like what you are doing. "For example, I have friends who travel all the time. That's nice but I know myself—I hate traveling. 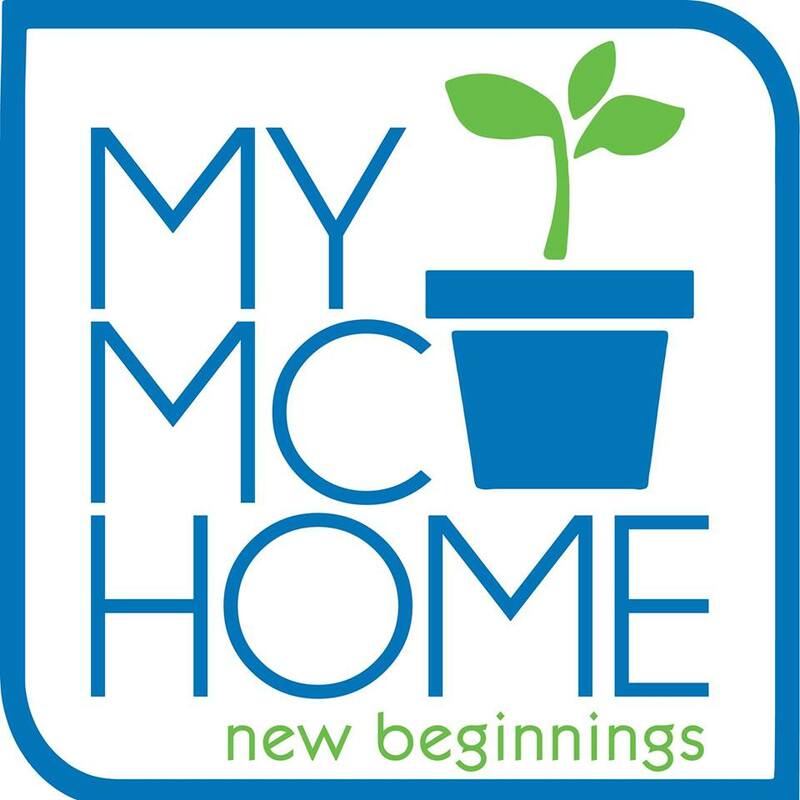 I like my home too much!" - her example is spot on! I find that a lot of people copy what others do. Always remember that what makes them happy wont necessarily make you happy. We all have different tastes. No need to be empathic, no need to feel for others. No need to share the same happiness. We have each of our own.